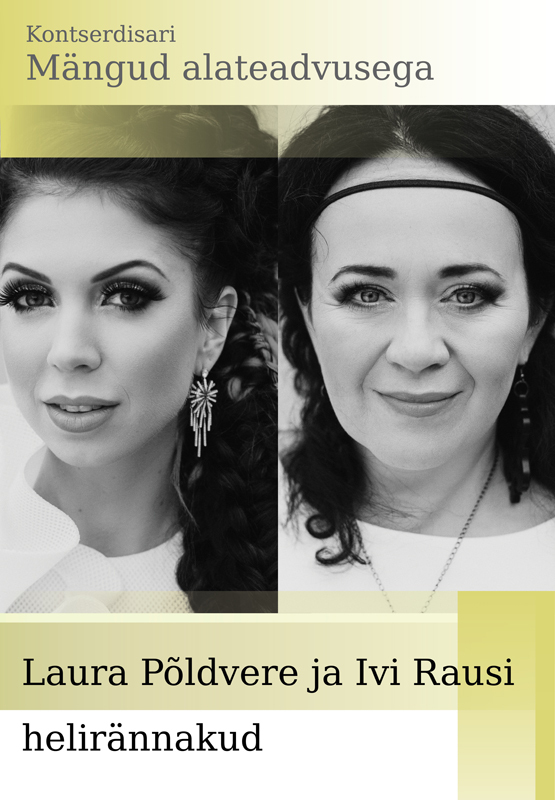 The members of the playful vocal duet, Laura Põldvere and Ivi Rausi, are one of Estonia’s most exciting free improvisers. The background of both of these vocalists is multi-faceted and their output in momentary improvisations creates uniquely playful beauty. It is like life that never recurs. Wandering the soundscapes together, they create pictures with their natural voice as well as electronic ‘gadgets’ – all this to add spice and colour. Vocal jazz improvisation, carrying the listener around strange and beautiful paths, from silent meditation to contagious laughter and strong open feelings. For the listener, it is also a journey in their inner landscapes. It is where music, science, and psychology meet: an evening that incites creativity and expands our understanding of the brain and the psyche. Perception and concentration level in a special environment where the surroundings are stripped to a minimum – the audience can sit on comfortable beanbag chairs around the artist. The concert will be followed by a chat with the audience, the music therapist, and the artist on expectations and the experience.